If you LOVE pizza as much as I do.. you will be pleased to know that there is a syn free alternative and it’s pretty delicious 🙂 Using your Healthy Extra A and your Healthy Extra B you can have a yummy SYN FREE pizza! Go for the traditional syn free tomato sauce or try my syn free BBQ sauce alternative. See tomato sauce method here. Make up 60g of your bread mix as per the instructions or make up the whole packet.. divide into 60g sections and freeze the ones you aren’t using this time (in cling film). Roll out your base onto a floured surface.. you can make this as thin or thick as you fancy. Depending on whether you like a crispy thin base or more of a deep pan. Spray a little Frylight onto a standard baking tray or I highly recommend using a vented pizza tray. Place your base onto the tray and spray a little Frylight onto the top before baking for around 8 minutes at 170c. Remove from the oven and using two spatulas flip the base without breaking it. Place in the oven for around 8-10 minutes depending on how crispy you like your pizza. 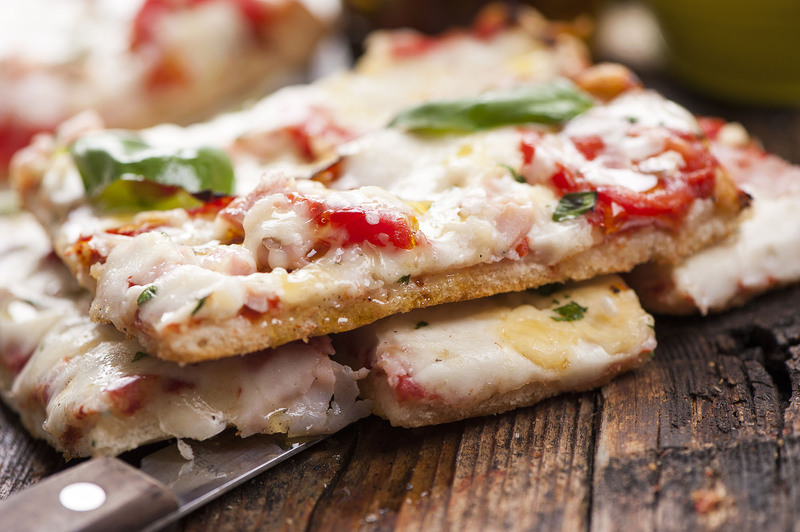 Serve on one of these awesome pizza boards. Enjoy your delicious Syn free pizza! Please share this recipe with your friends.